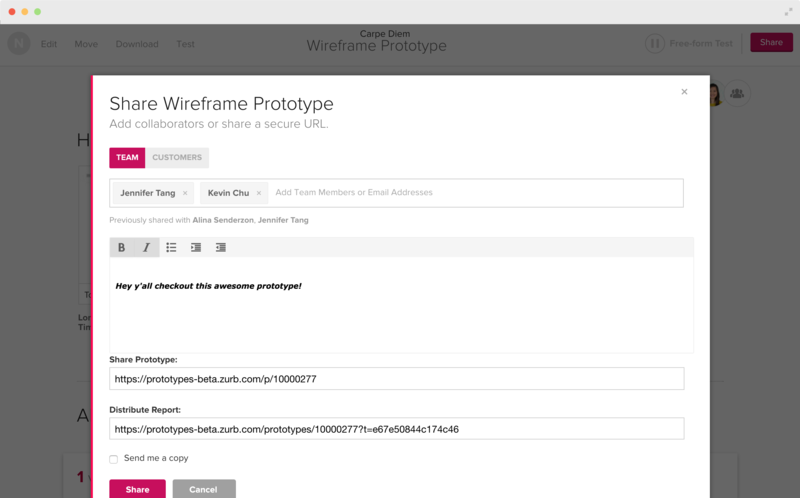 Prototypes lets you create clickable prototypes from sketches, wireframe, or mockup. Test and validate user flows on any device by performing user tests in person, remotely or on your testers own time to get the feedback you need. 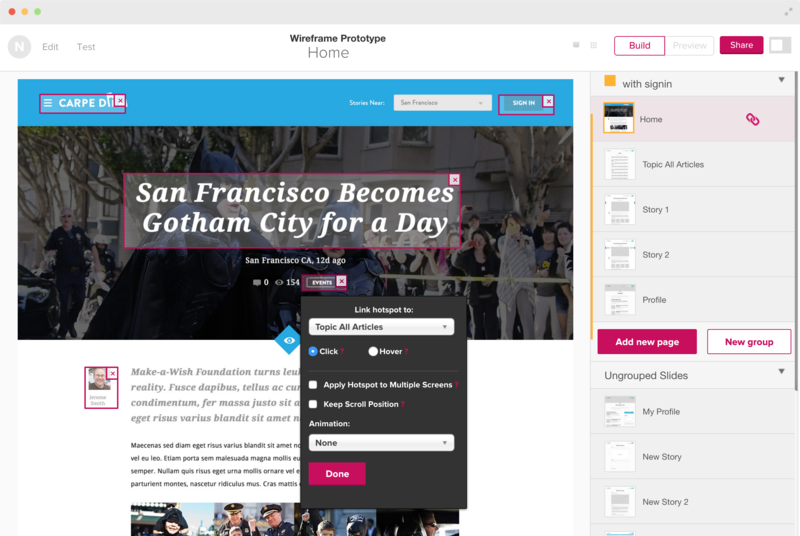 Creating a clickable prototype is a pain, Solidify by ZURB makes it effortless. We need focused feedback on simpler apps, or on specific tasks within a larger app, and Solidify is perfect for that. [Solidify] takes care of one of the most annoying parts of building an interface: testing clickable prototypes. Solidify will simplify the process and make your life easier to eliminating excessive time on creating focus groups, it will remove the length in which your idea gets in the hands of a user for testing and zap the confusion that often comes with making important changes to your interface to ensure that you are going to gain valuable knowledge back to create the best quality, user friendly website as you can. The lovely people, and creators of Foundation, at Zurb have been hard at work and have released Solidify ‘the quickest way to prototype interface screens for user testing feedback across devices. Don’t waste time re-creating designs to test flows - upload your sketches, wireframes, or mockups and use our simple web interface to quickly and easily create clickable prototypes. User testing shouldn't wait until implementation. Use prototypes in your design process to see if users are able to accomplish a specific task and ask what they thought so you can start making decisions and improving your design. Get people driving through your application or website before you commit to code. Prototypes will get your ideas validated before it’s too late or too costly to make changes. 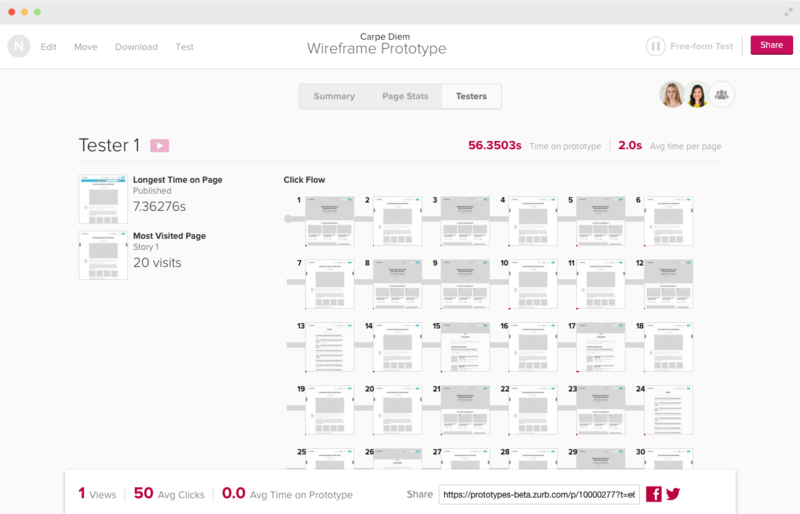 Solidify has been super helpful to quickly bring our designs and wireframes to life. This has really been the easiest way to get feedback within our team and from our community. I love Solidify! I used wire-framing tools for a year to upload JPEGs and connect them all together into a presentable prototype. Solidify mimics their behavior completely...it makes me a very happy panda. I spent some time using Solidify and I got really into it. The experience has been great so far. Keep Rocking. Love, I mean love the work you do! Very meta in that incredibly designed tools to help create incredible designs! Awesome! @SolidifyApp looks great. Having used @foundationzurb to build our responsive website, we love to see @ZURB putting out new products! Solidify is made by ZURB, a product design company located in Campbell, California. We've put over 10 years of experience building web products, services & websites into this product. © 1998‐2016 ZURB, Inc. All rights reserved.